What do an Osoyoos creek, park and garden all have in common? The semi-arid region around Osoyoos echoes a wistful tune, beckoning music lovers to enjoy its warmth. Osoyoos’s fusion of music and heat is sure to leave you thirsty for more. Music in the Park is a free Osoyoos outing you can take in every Friday night throughout the summer. Bring a blanket or lawn chair to Gyro Park at the foot of Main Street and enjoy great music with beautiful surroundings. The bands taking to the Gyro Bandshell stage range from country and rock to reggae and pop. Gyro Park is a spacious area with laid-back crowds typically ranging from 200 to 400 people. If you’re looking to celebrate Canada’s 150th anniversary in Osoyoos, you’ll be treated to a musical smorgasbord. Gyro Park’s Bandshell stage will be packed with music all day—from when the parade ends at noon until the fireworks go off at 10 p.m. 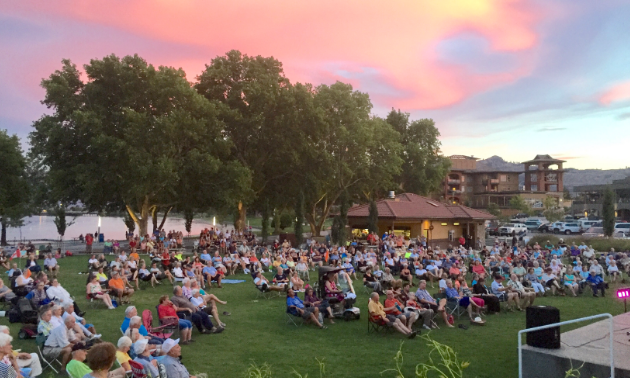 Even if you’re not in Osoyoos on a Friday night or July 1, you’ll still hear music in the park. A public piano is on site in Gyro Park throughout July and August. 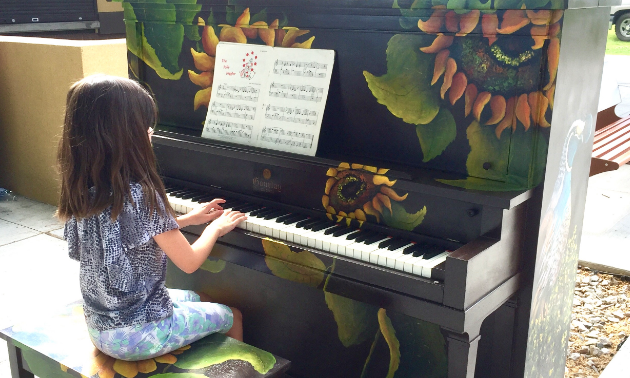 Two local artists painted beautiful sunflowers on the otherwise black instrument. It is available during the day for anyone to play, including you! Bring some sheet music or play a song by heart. The Entertainer might be the only song you know—that’s OK—have a go at it and have fun. Town hall square will be alive with the sounds of music during all farmers markets this summer. Markets operate every Saturday from 9 a.m. to 2 p.m. To keep up with demand, July and August add a Wednesday market from 5:30 to 8:30 p.m. with live music as well. Take a gander at the market and enjoy live entertainment at the same time. Win-win! To see the concert schedule for Music in the Park, go to the Osoyoos website. 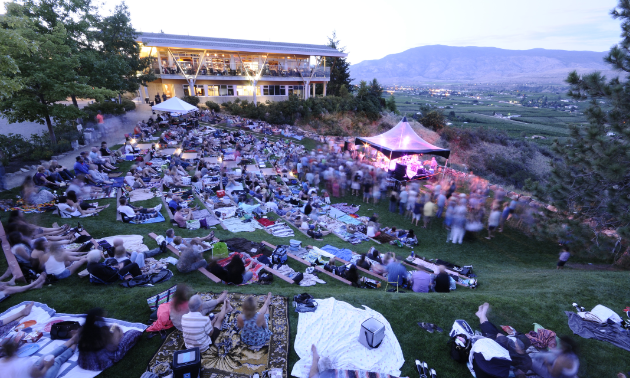 Toast Canada’s top musical talents with award-winning Canadian wines while taking in the spectacular views of the southern Okanagan Valley at the Tinhorn Creek Concert Series. The Canadian Concert Series event features a lineup of soulful sounds and funky tunes from Canadian bands, including series closer and celebrated roots-rock-reggae band Big Sugar. Tinhorn Creek Vineyards is located 17 kilometres north of Osoyoos just off of Highway 97. The business hosts a concert every month from June to September. The artists brought in to entertain perform up-tempo music, best enjoyed by kicking off your shoes and dancing in the large amphitheatre. The vineyards of Tinhorn Creek aren’t just there for show. They’re there to add flavour to the party. Concert-goers are welcome to enjoy a meal at the award-winning Miradoro Restaurant, perched on the scenic Tinhorn Creek Vineyards estate. As a leading winery destination evoking classic southern Okanagan terroir, Tinhorn Creek offers a selection of estate-grown wines. Concert dates and lineups can be found on Tinhorn Creek’s website. Located in nearby Keremeos (48 kilometres northwest of Osoyoos), the Grist Mill and Gardens is a historic site that offers live music weekly (usually Thursdays) from July to early September. Musical guests include folk, old-time, Celtic and other unique genres, creating a special evening against the backdrop of the historic 1877 waterwheel-powered flour mill. Its original machinery is still intact all these years later. The Grist Mill is the last remaining pioneer flour mill in the West. Guests are encouraged to bring their blankets and low-rise beach chairs to relax in. The doors open at 6 p.m. and the shows start at 7 p.m., making for a great evening in the warm Okanagan sun. Concert dates and lineups can be found on The Grist Mill and Garden’s website. A cavalcade of melodies in three outdoor venues. 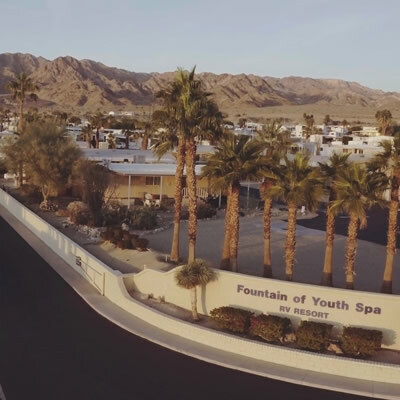 Which oasis in the desert will you bask in this summer?